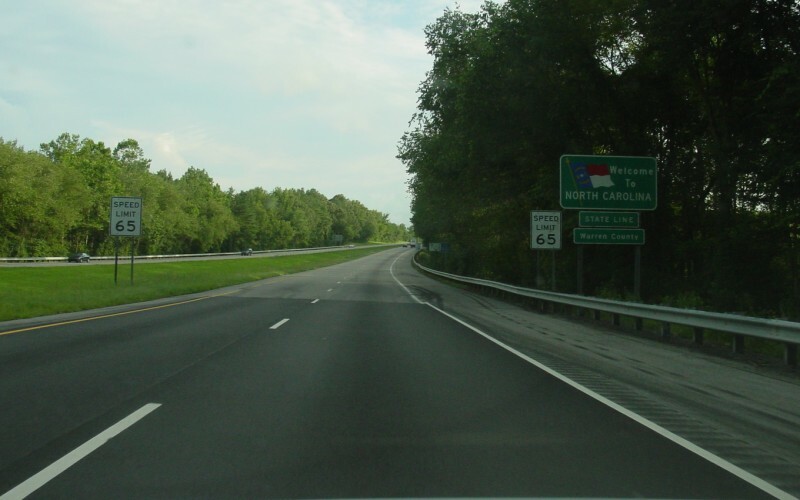 Southbound I-85 crossing into North Carolina. Photo by Adam Froehlig, taken August 8, 2003. 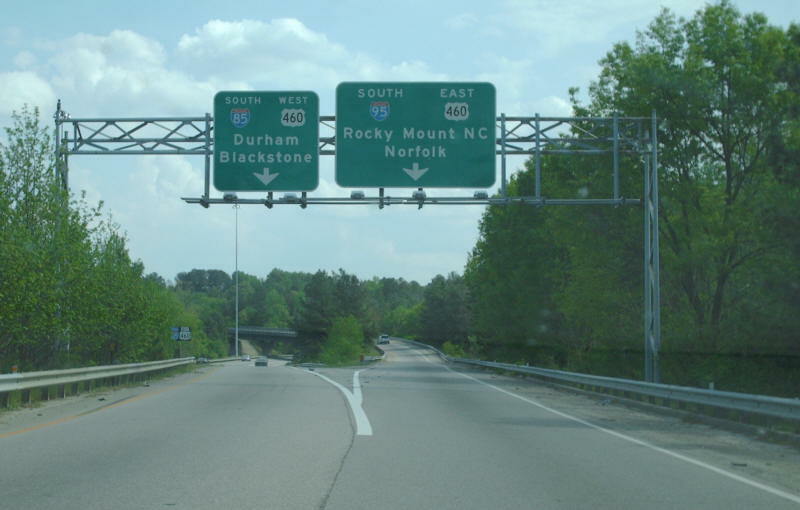 Northbound I-85 at the I-95 SB/US 460 EB ramp. 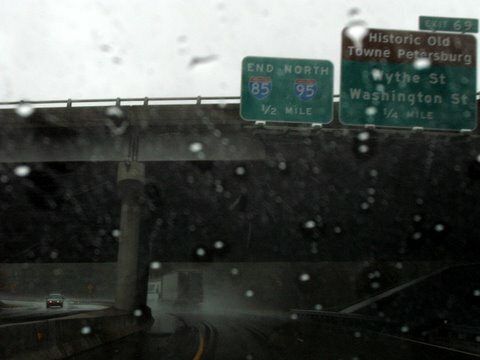 Photo by Mapmikey, taken January 21, 2008. 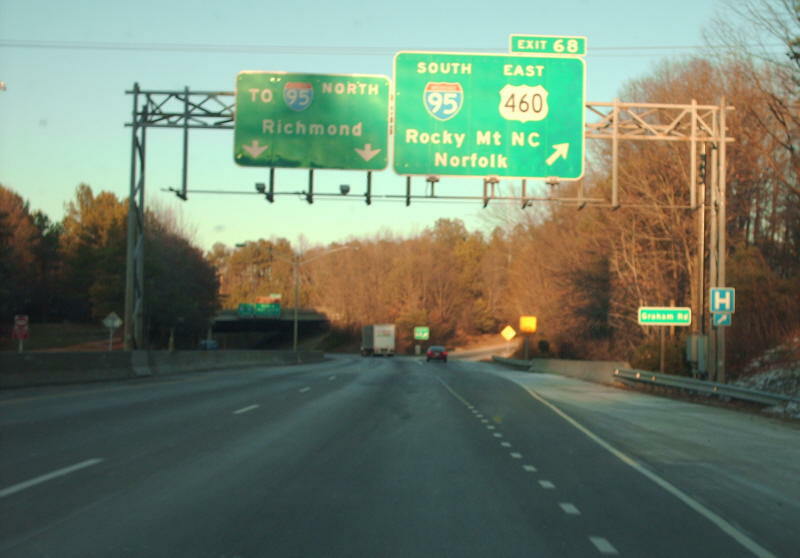 This view is from the ramp from US 460 Bus/VA 36 in Petersburg that can get you to I-85 or I-95. Photo by Mapmikey, taken April 24, 2007. 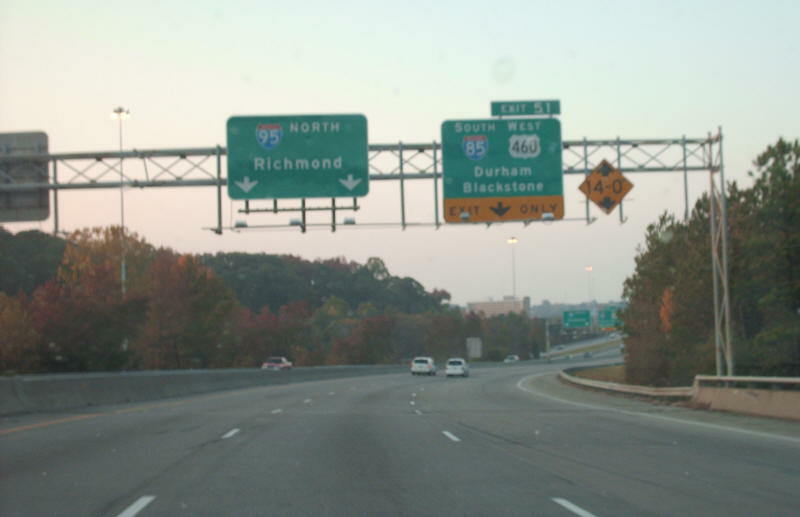 Northbound I-95 approaching I-85. 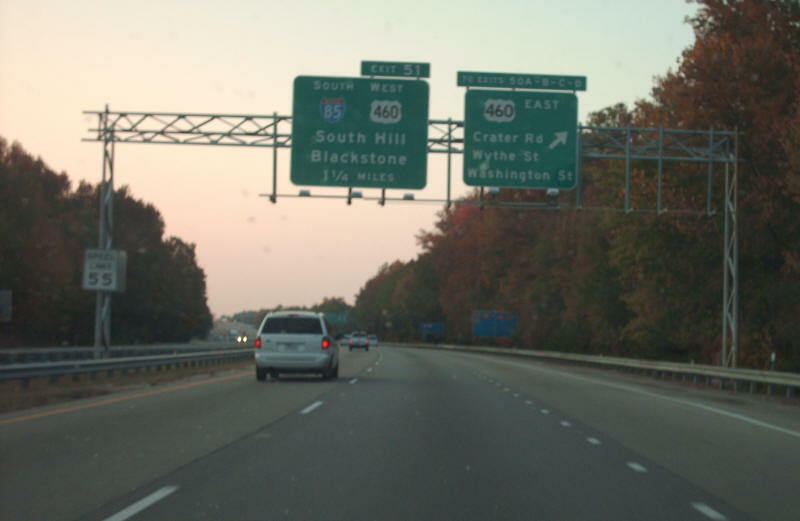 Photo by Mapmikey, taken November 10, 2007. 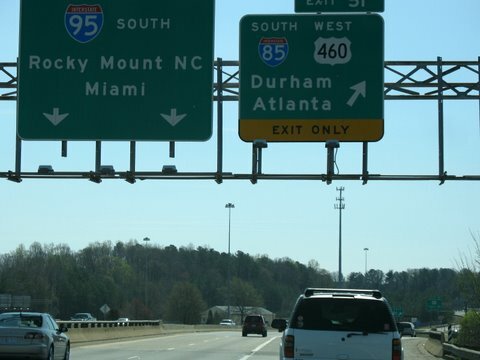 Northbound I-95 at the I-85 ramp. Photo by Mapmikey, taken November 10, 2007.